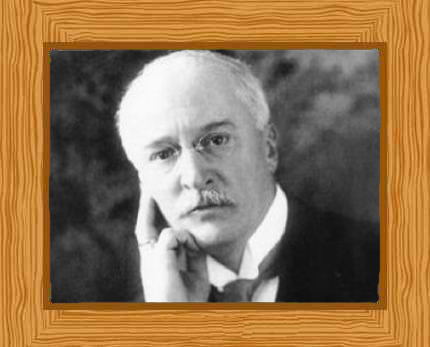 Born on March 18, 1858 in Paris, France, Rudolf Diesel was the son of Theodor Diesel, a bookbinder and Elise Strobel, a leather worker. Both of his parents were Bavarian Germans who hailed from Augsburg. Regular visits to the National Conservatory of Arts and Crafts in Paris captured his interest in engineering. When the outbreak of the Franco-Prussian War in 1870, the Diesel family were expelled from France and moved to London. Young Rudolf Diesel was, however, returned to Augsburg to stay with relatives to continue his education. Diesel received a scholarship to the Royal Bavarian Polytechnic of Munich in 1875 where he studied thermodynamics under Professor Karl Paul Gottfried von Linde. Although unable to graduate in his 1879 class because he was ill with typhoid, he made wise use of his time by gaining practical experience in engineering at the Sulzer Brothers Machine Works in Winterthur, Switzerland. The following year, Rudolf Diesel graduated with flying colors and moved to Paris to work with his former professor, Karl Paul Gottfried von Linde, in his refrigeration and ice plant business, Linde Refrigeration Machinery. So, in 1880, Diesel was assisting Linde with the design and construction of a modern refrigeration and ice plant. A year later, Diesel became the director of the plant. In 1883, Diesel married Martha Flasche and they had two sons Rudolf Jr. and Eugen, and a daughter, Heddy. He built a working ammonia engine in 1885 to try and improve fuel efficiency but it did not meet his expectations so began to consider other options. Diesel became interested in the theoretical works of Nicholas Carnot, a French physicist, who was the brains behind the principles of today’s modern combustion engine. Diesel believed that it was possible to build an engine which was four times more efficient; noticing that up to 90 percent of energy was wasted in a steam engine. This inspiration set his ideas in motion and he began to work on his project to design an efficient engine. In 1892 he was granted the patent for an engine that burnt using what was then the cheapest fuel available, powdered coal. During the time he was working on his engine design, his project was funded by Maschinenfabrik Augsburg, now known as MAN Diesel, and Friedrich Krupp AG, now known as ThyssenKrupp. On February 27 1892 Diesel filed a patent in Berlin for a “new rational heat engine” and the following year on February 23 1893, he was granted the patent for the “Working Method and Design for Combustion Engines”. To encourage interest in his new invention, he published a description of his new engine called “Theorie und Konstruktion eines rationellen Wäremotors” (Theory and Construction of a Rational Heat Motor) in 1893. Diesel began prototype testing his engine, a single 10 foot iron cylinder with a flywheel at its base, on 10 August in 1893. The trials were was successful but the engine was not commercially viable. He found workarounds and improvements for issues including changing the fuel from coal dust to refined mineral oil and later to heavy petroleum. He was then able to successfully introduce the first 25-horsepower 4-stroke one-cylinder compression engine in 1897, with an efficiency of 26.2 percent. This engine became well-known after it was displayed in the 1898 Munich Exhibition. The first commercial engine was built in St. Louis, Mississippi for the brewer Adolphus Busch and Busch later purchased the U.S. and Canadian licenses for manufacture and sales. His invention was adapted and improved and his technology today is used for marine engines, automobiles, electric power generators, factories, trains, oil drilling equipment, and mining machines. In September 29, 1913, aged 55, Diesel boarded the steamer “Dresden” to cross the English Channel. En route to London to attend a Consolidated Diesel Manufacturing meeting, he vanished. It is known that he went to his cabin around 10 PM after having dinner and asked to be called the following morning around 6 AM. During the morning call, his cabin was found to be empty and his bed not slept in; he was never seen alive again. Ten days later after his disappearance, crew from the Dutch boat “Coertsen” chanced upon the decomposing body of a man in the North Sea. Personal items such as his pill case, pocket knife, I.D. card, and an eyeglass case was taken to help identify him. Eugen, the youngest of Rudolf Diesel’s sons identified these personal effects as his father’s.